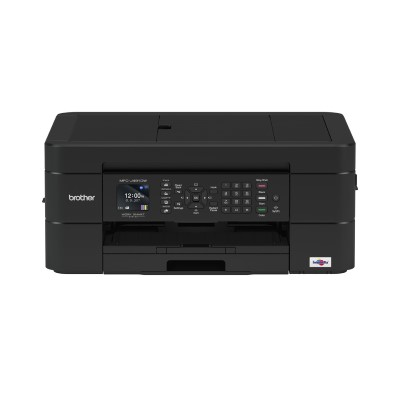 work smarter and cut costs effortlessly with this versatile inkjet printer, ideal for your home or small office. copying and faxing all in one compact machine. Cut costs with our range of affordable standard or high-yield genuine Brother ink cartridges. Achieve higher productivity and save more on paper and ink effortlessly with our automatic 2-sided printing. you can directly print and scan from your device with mobile printing. With a 100 sheets standard paper tray, this flexible printer can handle various paper types and sizes for your convenience. Additionally, the 20 sheets Automatic Document Feeder (ADF) helps you easily scan and copy multi-page documents.